Prima Damansara, a royal view of the neighbouring palace is just one of the many lavish qualities you will discover in the opulent space. Prima Damansara is a low-density condominium accommodating 100 units within 5 blocks. 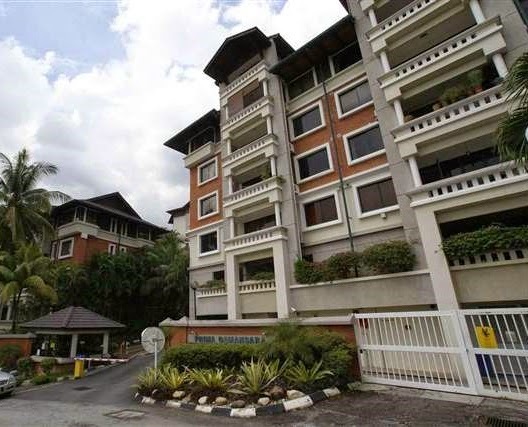 Located in the affluent area of Damansara, along Jalan Chempenai off Jalan Bruas, it offers exclusive prime living complemented by the lush and private surroundings, 24-hour security, swimming pool, wading pool, squash courts, cafeteria, gazebo, gymnasium, tennis court and launderette. It has gained a reputation as a family-friendly condominium given its close proximity to schools and amenities that are easily accessible. Built-up Area : 1,200 sq.ft. to 2,000 sq.ft.